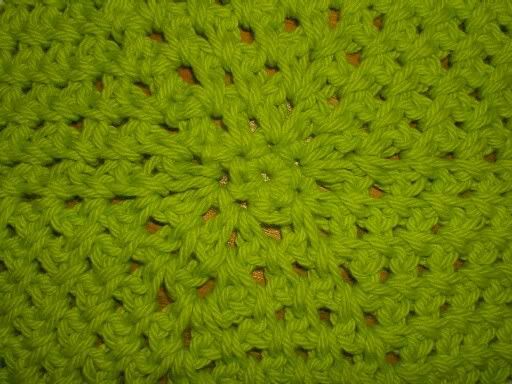 Anyone recognize this pattern or stitch? TAKE TIME TO READ THE USERINFO PAGE! It contains FAQs, useful information, and posting guidelines, and knowing what's in there is the best way to make sure you avoid needless drama. Thank you for doing your part to avoid needless drama. 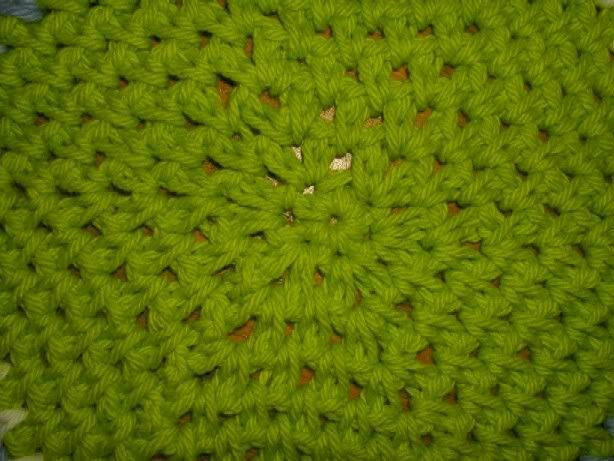 Through my yarn group I’m putting together a variety of donated squares to make into baby blankets for Hurricane Katrina survivors. 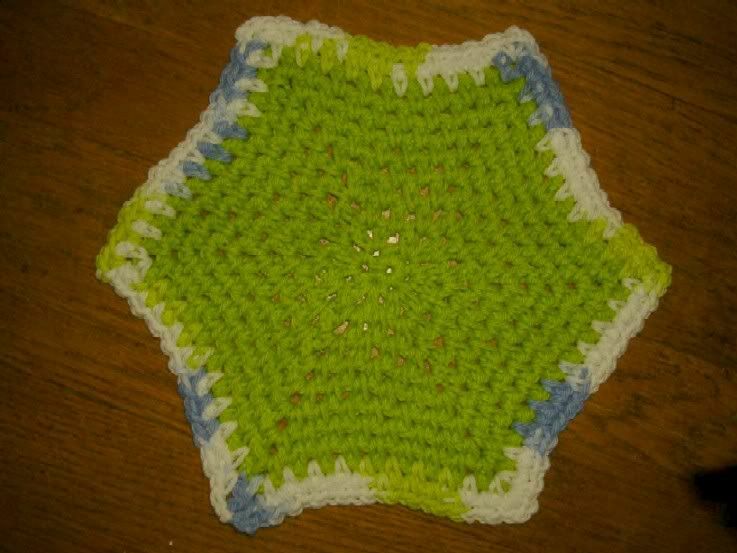 Among the pieces we received were one granny-style hexagon and five of a different style; I’m using the granny for the center of a blanket and need to make one more of the other style to go around it. 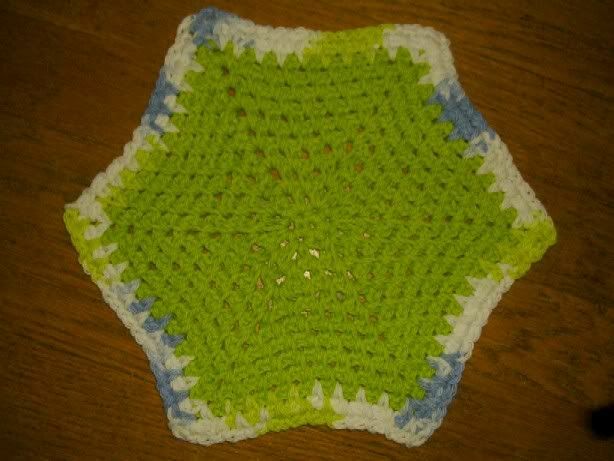 I understand how to create the hexagon shape but can’t seem to duplicate the stitch or stitch pattern. Under the cut (hopefully there's a cut...this is my first attempt) are large pictures of both sides of one of the mystery hexagons, full and close up. Thanks in advance for any help with this.